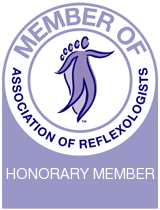 Reflexology aims to treat each person holistically and individually, looking at the whole person from the initial symptoms and health issue through to lifestyle, diet, occupation and state of mind all of which will undoubtedly contribute to the health issue. The Bowen Treatment can help you deal with the stresses and strains we put on our bodies in this modern day life we lead. From the smallest to the biggest feet in the house Reflexology does not differentiate.... all can benefit from the treatment. The Bowen Technique is a hands on body therapy based on gentle moves over muscles and soft tissue. Owned and run by Maureen McInness, MAR, Cert E.C.B.S., ITEC. My name is Maureen (Mo) McInnes. I live and practice various complementary therapies on the outskirts of Banbury Oxfordshire. I became a Reflexologist in 1996 and was so impressed by the results of this therapy in helping the body to balance and heal itself that I then went on to train in other therapies over the following years. My other main therapy is The Bowen Technique. This is a therapy that has come to the UK from Australia. I trained in this in 2008 and I am sure that we will hear a great deal more about Bowen as more and more people discover the benefits if this gentle, hands on body treatment. You may be just browsing out of interest or you may be looking for some specific information. I hope you will find something of interest but please feel free to call me on 01295 268694 for more information if you need to. The therapies that I practice are specifically therapeutic. I believe that clients want more than just relaxation when they decide to go to a therapist. I am fully insured and CRB police checked.